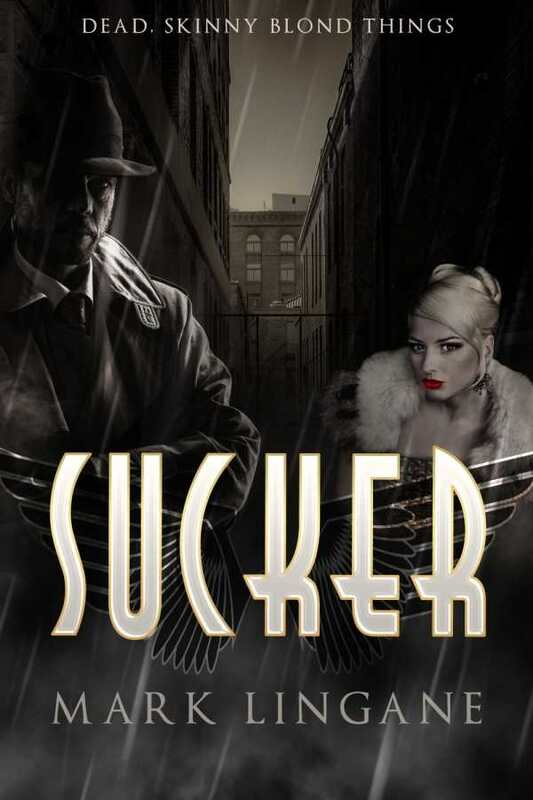 Snappy, funny noir mashes up with vampires and unholy ritual in this entertaining caper. Van H. Avram doesn’t know much about vampires, but he does know about women. They seem to follow him everywhere: skinny, blond, dead women who appear to have had the very life sucked out of their bodies. As evidence explodes and strange dogs attack him, Avram is forced, reluctantly, to concede that something supernatural may be afoot. In fact, if things get any weirder, he may have to conclude that he’s at the very center of it all. Steeped in 1950s PI glamour, it’s not hard to see the influence of Raymond Chandler in this energetic book. But Sucker also recalls Douglas Adams’s Dirk Gently’s Holistic Detective Agency, both in the absurdity of Avram’s interactions with his clientele and the cosmic implications of the cases he addresses out of his run-down yet barely affordable office. The book isn’t afraid to venture into overt goofiness, and in fact, this courage often invests it with a campy appeal that belies its complicated thematic mixture of noir, horror, and comedy. Armchair detectives will enjoy Sucker‘s merry chase and strict adherence to the rules of its own universe. However, the story also leaves several loose ends untied, including a few baffling peripheral characters whose existence is never fully explained. It’s fairly easy to rationalize these based on clues present within the text, but readers who like their novels watertight may find that these little issues injure the book’s otherwise excellent polish. Several of the people who surround Avram seem like stock characters at first introduction but quickly develop into unique and unusual creatures born completely of the book’s own world. The book’s depiction of women as lusty vixens may strike some feminist readers as problematic, though others may consider this is a wink to classic pulp fiction. Even when inhabiting this gray area, Sucker’s characters are fun to watch, even when not completely believable. Stylistically, the book mimics the hard-bitten noir of the 1950s, but it updates linguistic and social conventions to better suit a modern audience. This choice works well, helping to imbue the book with sophistication that would have been absent in a straightforward homage to the genre. Sucker also adroitly handles enormous, even existential reveals in such a way that they fit into their context and remain surprising. The potential audience for this book is broad. Science fiction, fantasy, and mystery fans are all likely to be on board from the first page, especially those who have been prepped by the recent popularity of silly-seeming, but ultimately high-quality, genre-crossing titles like Seth Grahame-Smith’s Abraham Lincoln: Vampire Hunter. However, anyone who enjoys religiously inclined fiction while simultaneously wishing that the subgenre took itself less seriously will enjoy this imaginative romp.